Correction: In our article about the summer field season, we mistakenly omitted Alberta Agriculture and Forestry’s contribution to the field work. This newsletter has been revised to correct this mistake. Welcome to the May edition of the Point Cloud. An update on our PDFs. Doug Bolton resigned from his position at AWARE and will trade his mountain bike for a pair of earmuffs. He will return to his home town of Boston to start a new position at Boston University in July. We wish him the best of luck at his new position. We will recruit a new person for this position. We have many activities planned for this summer’s data collection.Slave Lake, AB – FRIAA, and Alberta Agriculture and Forestry awarded AWARE a grant to collect more data in Slave Lake. While most of our data collection efforts will focus on the S20 region of the Slave Lake FMA, we also plan to return to some of our plots in S17 and take additional data for our growth modelling work. Given the size of the collection needs, we will send a field complement of six researchers to the area for two to three weeks at the end of July. Black Brook Forest, NB – The government of New Brunswick is flying LiDAR across the province and supplementing that with aerial photography. As part of our data collection in BB, we will be piggy-backing onto the government of New Brunswick’s data collection to enhance the quality of the data in Black Brook. AWARE’s financial support will be used to increase the coverage overlap to 80% and the resolution to 25 cm. The imagery gathered will allow us to build DAP point clouds in Black Brook and continue to improve our species identification work. Harry’s River Watershed, NL – Aurelie Schmidt will be spending the summer in NL, prior to completing her MSc this fall. During the summer, she will consult for Resource Innovations to implement an eco-systems services framework based on the research that Aurelie has done to complete her MSc. Sam Herniman will also be in Newfoundland in June to collect bird data for his research on habitat (Question 18). Tristan Goodbody was born in Calgary, Alberta. He grew up an expat in Ecuador, Malaysia, and Scotland prior to his admission to the UBC Faculty of Forestry in 2010. His involvement in the co-op program there afforded him hands-on experience working in the forest industry with West Fraser Timber Ltd. in Chetwynd, BC, and in research based forestry operations with the Alex Fraser Research Forest in Williams Lake, BC. Tristan graduated with a BSc in Natural Resources Conservation in 2015 and enrolled as an MSc student under Nicholas Coops later that year. Tristan’s research started with analyzing the use of drone-acquired imagery and digital aerial photogrammetry (DAP) for predicting residual timber volumes following selective harvesting. Tristan enjoyed his research focus so much that he converted to a PhD in 2017 where he is now focused on investigating DAP and its potential for enhancing forest inventories. Tristan is currently working on Question 11 in AWARE, focusing on the ability of DAP to provide spatial, spectral, and structural knowledge of spruce budworm defoliation in the Gordon Cosens forest south of Kapuskasing, Ontario. When he is not working on his PhD, a rare occurrence, Tristan can be found with his dog, Kyra, or anywhere there is good food. 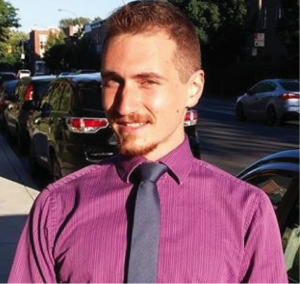 Joseph Rakofsky is an MSc student working under the supervision of Nicholas Coops (UBC). His research project (Question 12 of theme 2) investigates a multi-sensor approach to model height growth in a boreal mixedwood forest near Slave Lake, AB. Stereophotogrammetry derives the measurement of an object’s position when imaged from two different perspectives. Applying this to many objects that compose a surface on overlapping images produces an image-based point cloud from which a digital surface model (DSM) can be created. The cost of image acquisition is estimated at one half to one third that of ALS data. However, image-matching algorithms are only applicable to objects that are directly visible in the images themselves. As such, image-based point clouds can only describe the upper canopy surface. Forest managers continuously demand the development of a cost-effective inventory cycle using remotely sensed data, though few studies have explored the accuracy of forest attribute estimates from image-based point clouds in highly disturbed environments such as Slave Lake. Thus, Joseph’s research sought to model height growth between roughly 2007 (T1) and 2015 (T2) using height models developed from ALS at T1 and image-based point clouds at T2, and using validation data collected from 27 plots across the study site. Through this primary objective, Joseph also explored the utility of different categories of metrics for modeling height. Height models have typically been developed using height metrics alone. However, in the context of environmental disturbance and low-density ALS and image acquisitions for estimating height growth, the consideration of canopy cover and height variability metrics were thought to be crucial for two reasons. First, estimation errors from the T1 and T2 height models are compounded when making growth predictions, and growth estimates could be overwhelmed by noise if not optimized, as mean annual increments (MAI) in the forested areas around Slave Lake are small. Second, cover and variability can provide additional information in stands with high densities of large snags as they could obscure structural quantifications of live trees. Joseph compared height growth predictions developed from T1 and T2 models using height, canopy cover and height variability metrics to models using only height metrics. 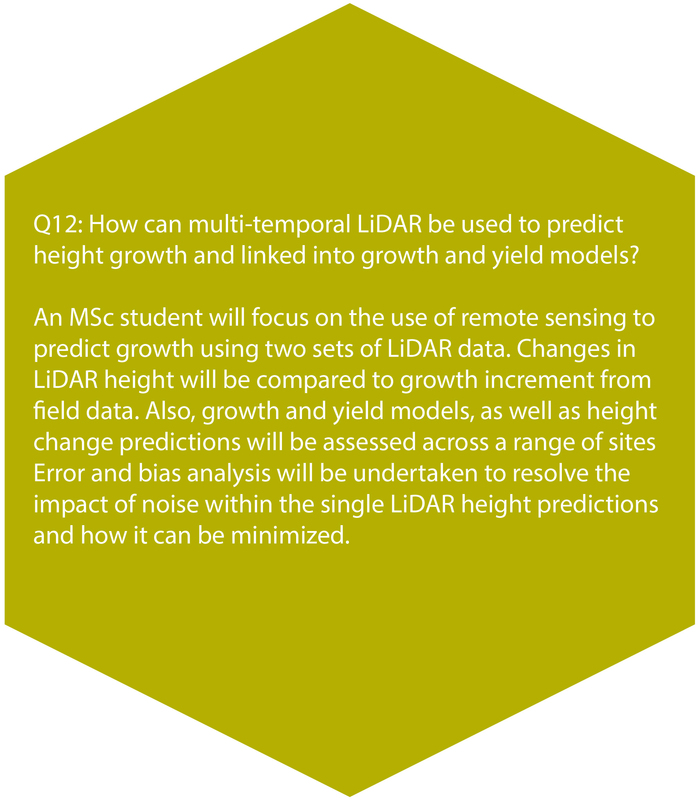 To build the models, Joseph uses stepwise multi-linear regression to optimize the parameters for height models at T1 and T2, then differences corresponding estimates to predict growth. The multi-category models estimated height growth with an RMSE of 1.42 m (%RMSE = 164.18%) and r was 0.75 between observed and predicted values. The height-only models estimated height growth with an RMSE of 1.76 m (%RMSE = 203.03%) and r was 0.65 between observed and predicted values (Figure 1). Joseph’s research will proceed with an assessment of height growth within a subset of the Slave Lake study site. Height growth will be binned by categories of fine-scale ecological variables to understand their interactions boreal mixedwood sites. Figure 1: Scatterplots for observed and predicted values of ∆HL by the indirect approach. Growth shown uses T1 and T2 models built from A) Height, canopy cover and height variability metrics, B) Height metrics only. The AWARE Y3 AGM will be held at FP Innovations Headquarters in Montreal onJune 5-6th. The AGM proceedings are open to AWARE researchers, industrial partners of AWARE and supporting government institutions only.If you are not part of AWARE, you can still attend the AWARE Research Showcase Day on June 7th. On this day, we will compress our research highlights into a single day. 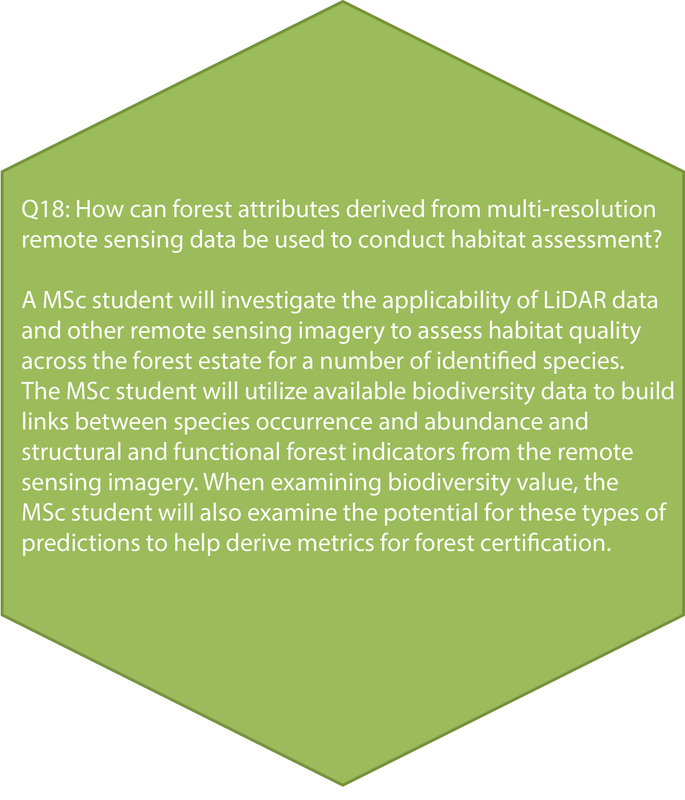 For industrial participants, this is a chance to hear about the latest research on forestry and remote sensing, as well as a chance to learn about how to participate in future remote sensing research. You can register at https://www.eventbrite.ca/e/aware-research-showcase-tickets-41529875977. If you are planning to stay in Montreal, we arranged a discount rate of $139+tax at the Comfort Inn in Pointe Claire. To take advantage of this, you must reserve your room using the discount code “FP Innovations” before May 5th.